Gionee S6 Pro Launched - Specs, Price and Availability. 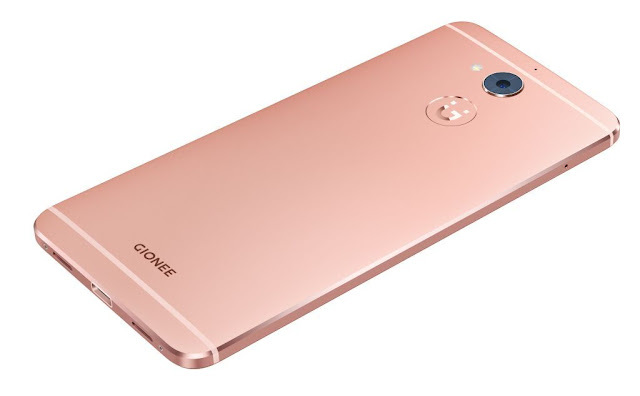 Gionee is currently performing a lot of buzz in Indian market with their Selfie Centric Smartphone lately - The Gionee S6S. Extending that area, today they launched Gionee S6 Pro as a successor to the earlier S6 series. On top of that, Gionee is now introducing their very own VR headset, entering the virtual reality league. 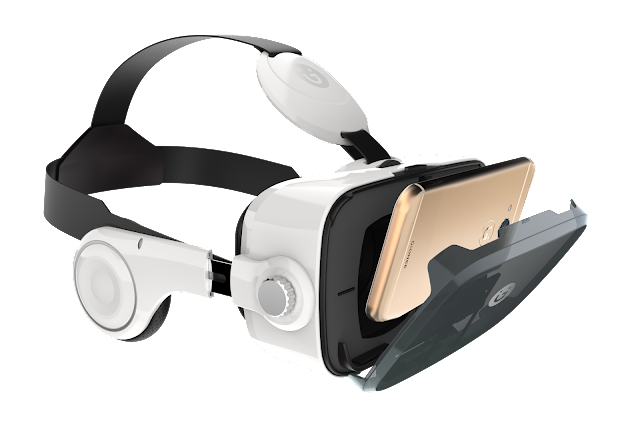 The Gionee S6 Pro comes with a proprietary VR app to enjoy the VR experience without any hiccups as the app has been optimized for S6 Pro itself. So let's discuss more on the Specs, Price and Availability of Gionee S6 Pro in detail. It runs on a 1.8 GHz Mediatek MT6755 Helio P10 Octacore processor coupled with 4GB RAM and Mali-T860MP2 GPU. It has a 5.5 inch IPS LCD 2.5D curved display having a 1920*1080 resolution giving it a pixel density of 401ppi. Also tossed in, is the Gorilla Glass protection. It has a 13MP Rear Camera equipped with a Sony IMX258 sensor with a larger aperture and complimenting that is the 8MP Front Camera with a screen flash which lights up all the pixels during low light conditions. It has a 64GB of Internal storage, and expansion is available up to 128GB. The Gionee S6 Pro comes with a decent battery package of 3130mAh capacity, which should last you 5-6hrs of continuous usage in my opinion. Apart from the usual sensor, It also has a Fingerprint Scanner situated on the front which doubles as a home button. Lastly, the Gionee S6 Pro comes with Amigo 3.2 UI built on top of Android Marshmallow 6.0 (Not 6.0.1). Apart from the usual Specifications, Gionee has bundled few of their optimizations on this device, So that you get a proper VR experience with the S6 Pro. 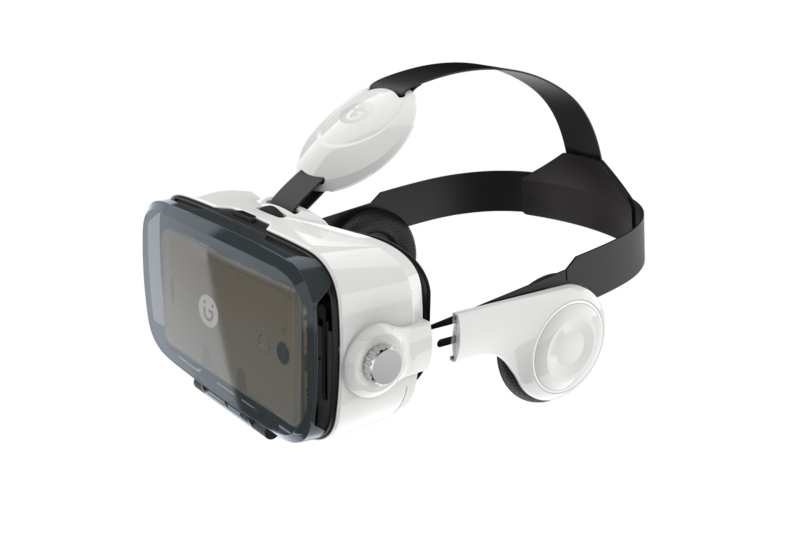 Gionee also hosts several videos and games on their G- Store(VR) platform, So that you shouldn't miss the content and leverage the actual capabilities of a VR headset. You can also find the split screen feature on Amigo 3.2 UI, which has made it's debut on Android 7.0 nougat officially. So with the splitscreen feature, you can reply back to a pending message or email without interrupting your movie or video playback. Gionee S6s is a smartphone which is currently out in the market now propelled along advertisements as a selfie-centric device. 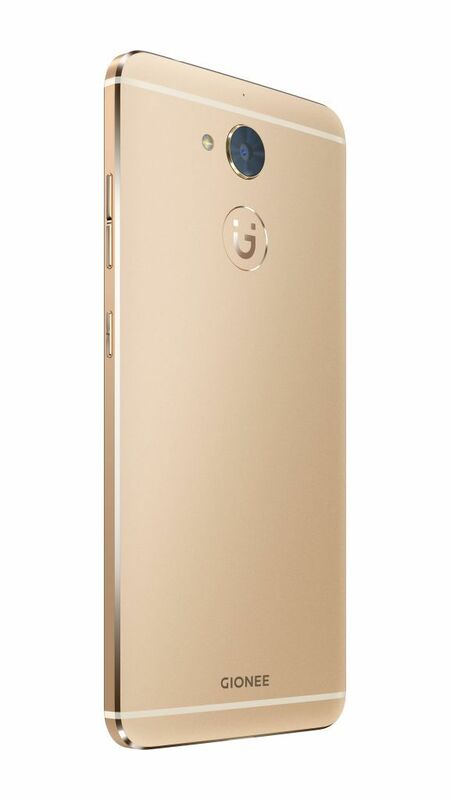 So essentially Gionee S series is a series which resembles the Front Facing Smartphone area. But now with S6 Pro, they've removed the physical flash and implemented the flash screen technology which most of the Smartphone manufacturers are currently experimenting. So mostly when you click a photo with your front camera during low light, the entire screen would flash up and mimic the external flash technique so that the front sensor takes in more light & the image which gets captured comes out sharper. On top of that, the front camera has an F2.2 aperture which naturally fills more light into the sensor due to that large aperture. The Rear Camera has a 13MP Sony IMX258 Sensor with F2.0 aperture, So expect some vast improvements to your smartphone photography, Though I've not tested it out yet. Also judging from the looks, the 2.5 D curved display, and the unibody aluminum design seems like a good testament. Whereas it also has a VoLTE support, So Yes Reliance JIO works. On top of that, Gionee has partnered with Saavn to provide three months of Saavn Pro subscription to all the S6 Pro customers. So the S6 Pro will be priced at Rs. 23,999 and the VR Headset is priced separately for Rs.2,499. So the pricing seems kind of interesting considering 4GB RAM, though the MediaTek processor might back few of us considering the price point. It'll be available in 2 color variants - Gold and Rose Gold. So it'll available starting tomorrow, Which is 1st October in all leading stores offline. There's no word on its online availability yet. Once we get an online link, This article would be updated accordingly. Also See: Sony CP-SC10 Portable Charger Launched with Type-C Port.